Forget what you think you know about account-based marketing. 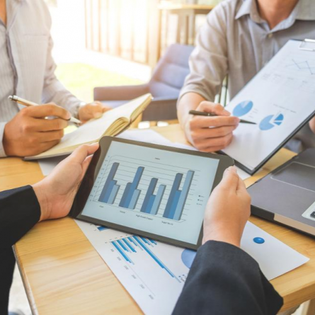 The branded version of account-based marketing, made popular by software vendors focused on selling you a solution to a problem you may not actually have, rose in popularity a few years ago and has since morphed into something almost unrecognizable from the original concepts underpinning ABM. When done correctly, account-based marketing is about creating unique, engaging experiences for a select number of high-quality accounts. It flips traditional marketing on its head by switching the focus from qualifying to disqualifying and from a marketing and sales handoff to an integrated set of plays geared to engage and win a targeted list of accounts. And while having advanced software can help you manage this experience, the software without the right data is like owning a fast car but being unable to afford the gas. Traditionally, marketing’s job is to create demand. Typically, marketing owns some portion of the qualification burden. MQLs are passed to sales, which then further qualifies these leads (SQLs). Account-based marketing flips this on its head by saying that marketing’s job is not to generate any demand but rather to disqualify accounts that are not a fit, instead focusing its resources on targeted accounts. Thank about that — marketing’s job is not just to blindly generate demand, but to disqualify accounts that are not a fit for the organization. To execute ABM, it’s critical that sales and marketing are on the same page in order to truly understand their ideal prospect. For many organizations, this is not a data problem, but a process problem. Often times, sales and marketing aren’t on the same page — that challenge, the pain it causes and the opportunity to align those teams is one of the main reasons we started Intricately. The ability to bring marketing and sales together to provide a comprehensive journey for your buyers starts by understanding your ideal customer and mapping out your target accounts. • Finding the companies that need your product by 1.) meeting with sales to get buy-in on taking an account-based marketing approach, and 2.) working together to identify your ideal customer profile (ICP) based on firmographic, technographic, behavioral and spend intelligence. • Using that knowledge to short-circuit a long and inefficient discovery process by 1.) creating a list of target accounts based on your ICP, 2.) tiering your list of accounts based on current penetration, accessibility into account, need for your product and other characteristics, and 3.) developing the content these accounts need to feel confident in purchasing your product. Today’s buyers have a wealth of resources they can rely on to get an (almost) unbiased view into a category before they ever talk to a seller, forcing sales and marketing to spend less time pushing their own product and instead working to earn the credibility with the buyer. When done correctly, ABM is the difference between shouting through a bullhorn at every passerby and taking a single customer by the hand and guiding them through an experience with your brand. But account-based marketing doesn’t have to be a complicated, overwhelming experience — it’s about aligning your marketing and sales teams around shared plays. Once you have a list of accounts, tier those accounts and do research into each to understand the challenges they face and how your product can remedy them. Your solution only solves so many problems — which means you can use these as building blocks to create three, four, or even ten different paths that are unique yet 80% similar in execution. For example, if you’re a content delivery network company, you can bucket your list of accounts based on certain characteristics like verticals, industries, current focus in the new year and their customer’s customer. By analyzing the characteristics between accounts you can identify trends, which are opportunities to create similar content and focus on delivering it in a highly personalized way. Instead of having marketing run campaigns targeted at personas and having sales reach out to the accounts, marketing runs plays in conjunction with sales — creating content and distributing it while sales follows-up to engage the assigned accounts. Taking an account-based philosophy to your marketing requires intense sales and marketing alignment that is often underestimated when launching an ABM pilot. Make sure everyone knows what the strategies, tactics, key performance indicators and goals are. And, most importantly, make sure everyone is on the same page on who is responsible for what. Weekly or even daily meetings when first launching an account-based marketing program is not overkill. You don’t need a million tools and fancy personalization to launch your program. What you need is quality data to create a list of accounts and to supplement your team with the insights they need to be the savvy sellers and marketers you hired them to be. Account-based marketing is about building the resources and organizational infrastructure to focus an account quality rather than quantity, allowing your organization to go from contacts to context, and from qualifying to disqualifying.